The mandolin and violin share some interesting intersections. From the cave paintings at Three Brothers Cave in France came evidence of the proto-proto-mandolin, a crude lute-like instrument with one string. Or perhaps this cave drawing, which depicts a hunting bow converted to a musical instrument, represents the great-great-great-great-great-great-grandmother of what we know as the violin. An Obu man playing a musical bow in Nigeria, circa 1909-1913. These two seemingly different instruments share the same tuning – G, D, A, E – so a violin player could switch to mandolin and crank out the same Bach sonatas. Likewise, a mandolin player could heft a violin under her chin and spool out “Rickett’s Reel,” transmuting said instrument from violin to fiddle. An oud (left) and a rabab (right). The two share a notable historic turn in Italy albeit 100 years apart. In the 1500s in northern Italy, an instrument evolved from the design of the viola di braccio, and an instrument maker named Andrea Amati of Cremora landed on record as the first known creator of the modern violin in 1555. The oldest surviving violin dates to 1560 and belongs to Amati. The most well-known Italian violin maker, Antonio Stradivari, apprenticed with Amati’s grandson. Stradivari set the standard for the violin in the late 1600s and early 1700s, at the time when the Latin mandora, part of the lute family, entered the stream of Italian life. The Italians invented a smaller version of the mandora, called it the mandolina, and by the 1800s, the mandolin enjoyed a happy, abundant life in Italian music. During the great immigration of the late 1800s to America, Italians packed their mandolins and introduced this delightful little instrument to the New World. The Gibson Mandolin Family at the National Music Museum in Vermillion, South Dakota. In 1898, an American luthier named Orville Gibson won a patent for an arch-top design on the traditional bowl-backed Italian mandolin. The American mandolin was born. Gibson instruments became a household name. Gibson’s iconic mandolin design continues to symbolize American folk music to this day. The roads converged for the violin and mandolin in the United States, where the Italians had created a great mandolin fever in the 1900s. Violins in the guise of fiddles partnered with mandolins, banjos, guitars and upright basses to codify a particular type of Americana music that exploded in the 1930s once commercial radio became a fact of life. Bill Monroe, a mandolin virtuoso, created a new style of finger picking based on the frenetic fiddle techniques of Uncle Pen Vandiver. Monroe added “blue” notes and phrasing from a bluesman mentor named Arnold Schultz, named his band The Blue Grass Boys, and invented bluegrass music. Several generations later, another mandolin virtuoso who creates celestial interpretations of violin music on his mandolin, Chris Thile, borrowed from Monroe’s tradition of lightning-fast finger picking with his breakout band, Nickle Creek. Now the inheritor of Garrison Keillor’s A Prairie Home Companion, which he is refashioning to exhibit outstanding, burgeoning musical talent, Thile stands as possibly the greatest mandolin player in the world. From humble and possibly apocryphal beginnings on a cave wall in France to stages here at The Straz, the convergence of the mandolin and the fiddle presents an intriguing intertwining of the lives of two fascinating instruments that found a common home in bluegrass bands – not a bad twist of fate for our four-noted friends. We have an exceptional selection of great string-fueled performances this fall. 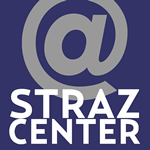 For our other exciting musical acts, visit strazcenter.org.